WeChat is a popular instant messaging app available for both Android and iOS. Its popularity can be gauged from the fact that it has an active user base of millions of people. People of all age groups are active on this app and share texts, photos, videos etc. Since the app is available for anyone to use, young children, are also actively using it to communicate with others. However, this can ring alarm bells for parents if they are concerned about what their children share using this app. If you have similar concern, you will be glad to know that there are various ways using which you can track the WeChat account of your child and monitor what he/she shares on the app. In this article, we will share the ways to help you track the WeChat account on iPhone. Tips: Accidentally lost your important messages from iPhone? You can always use Jihosoft iPhone Data Recovery to retrieve deleted texts from iPhone even without backup. This is a very popular application that is used to hack and monitor a Wechat account on an iPhone, once named Spymer. It is available as a desktop application for both Windows and Mac operating systems and is extremely simple to use. Step 1: Download this WeChat ID tracker tool from monimaster.com and install it on your PC/Mac. Step 2: Open the application and set it up with your child’s WeChat details. Step 3: The application will scans the data from either iTunes backup or iCloud backup. Hence create a backup of your child’s iPhone with iTunes or enter his/her iCloud credentials for iCloud backups. Step 4: Once the application has done analysing the data, it will share all the data category wise to be viewed on the application dashboard. You can download and use the free trial to check out if the application really works to track a WeChat account on iPhone. This app provides the trail period, and it charges $29.95/month for its services. All the plans provided by the app is up to the services provided. ExactSpy is another excellent application that can permit the users to track WeChat on an iPhone. And it has its mobile version dedicated for iOS devices. Step 1: Buy the ExactSpy plan from its official website extractspy.com. Step 2: Once you have bought a plan, you will be given instruction to install its iOS app on the target device. Step 3: Once the app is installed on the iPhone you want to hack, you need to login into that app using the credentials provided at the time of purchase. Step 4: Now you can log in on ExactSpy website from any device and monitor the targeted device and access the WeChat app data. The service is not free but costs less than others at $18.99 per month. If you really need to keep track of your child’s usage on WeChat, this is a great service. 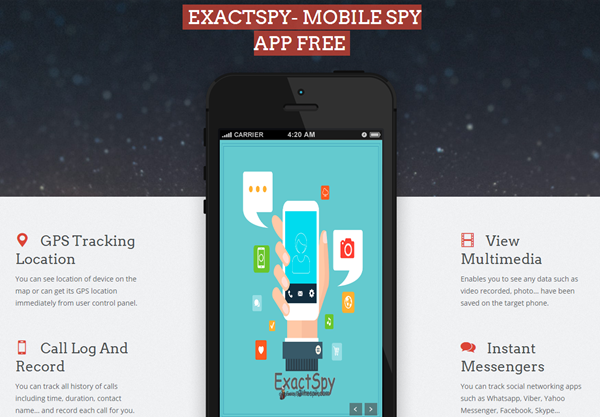 This app is similar to the ExactSpy app which we have mentioned above. Just like its counterpart, you need to provide your verified email ID to buy the plans of mSpy from its website. All the credentials and information related to your plan are mailed to the provided email ID. After purchasing, you can install its iOS app on your child’s iPhone and then start using it after completion of the login process using the received credentials. Now you can monitor the data of that target iOS device by login into your mSpy account from any device. This WeChat tracker tool mSpy is cheaper than ExactSpy costing $8.99 per month. This app is highly efficient and effective in terms of tracking the WeChat account. It gives you all the information about incoming and outgoing messages as well as other media. It is very useful if you want to track the entire data of a WeChat account safely. Social media account is always considered as the personal things of everyone’s life. So, it is illegal and unethical as well to track someone’s iPhone and his personal data. But, it is necessary for parents in some cases like looking out the actions of an underage child on social media. This can protect the youngsters to get indulged in wrong and questionable practices or be induced by malice. Therefore, this article gives your some good solutions to this general problem. It can be very useful to release the stress of concerned parents especially. 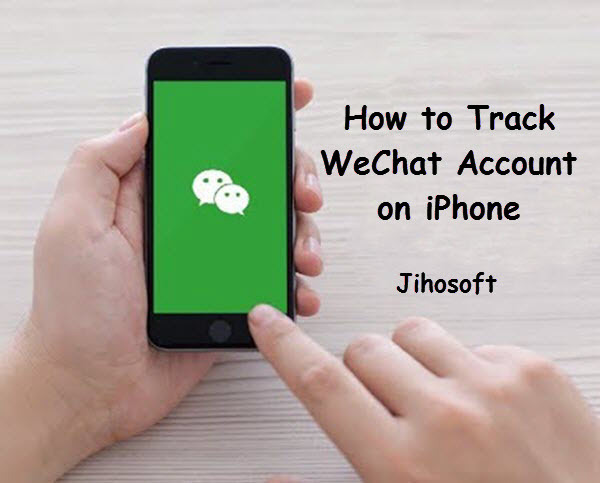 The provided ways are the best one to track anyone’s WeChat account on your iPhone. However, the services are not free, with some of them charging high price. We hope this article is capable of solving your problem, and welcome your questions or suggestion as comments if any.